Gator Frameworks has expanded its offering for guitars with a stylish wall mount guitar hanger designed to perfectly blend in with any environment. 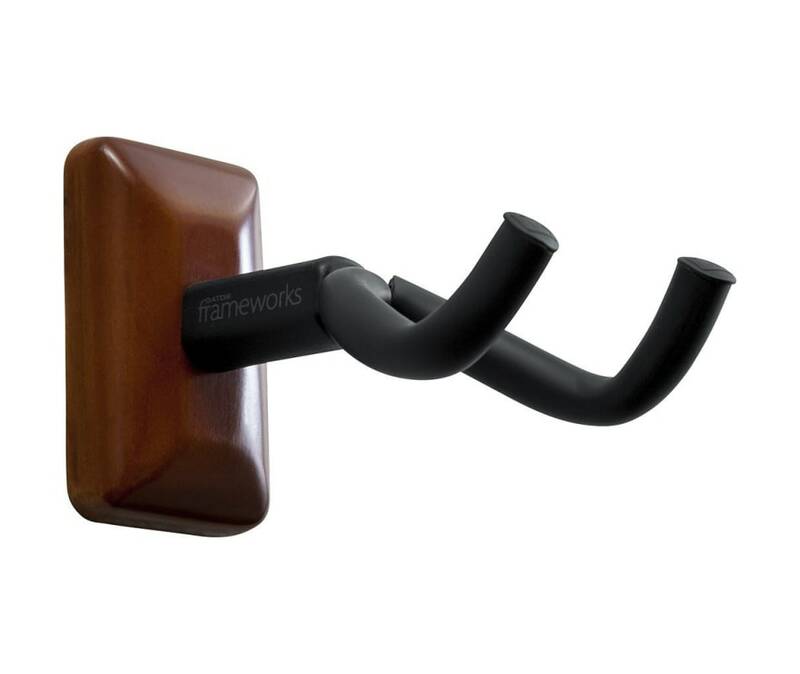 The Frameworks Guitar Hanger is quick and easy to install and safely supports most stringed instruments including electric, acoustic and bass guitars. The rubberized swivel yoke allows the hanger to properly cradle the instrument, while the sleek black standoff ensures the guitar sits far enough off the wall for both straight and angled headstocks. Mounting hardware is included as well as a foam wall pad to protect your surface from marring or scratches. Once installed, a decorative plate covers the mounting hardware for a clean and stylish presentation.